I got a killer deal on one in black, it's a VERY nice guitar for the money. Only thing I don't like about it the hardware is all black too, planning on redoing everything in chrome, cream humbucker rings, gold speed knobs, like the black WI-66. No big deal I can pick the parts up cheap and sell the black hardware. I'm really surprised by the pickups, the bridge pickup is definetely hot but not harsh at all, sounds very smooth and balanced. The neck pickup is nice in that it isn't muddy and too bassy like a lot of neck pickups. Again it sounds balanced and clear. Overall they are a steal for the price some very good deals to be had on them right now. Are you the original owner of the guitar? Have any modifications been done to it? Awesome, I was thinking something along those lines but you made it MUCH clearer, with a great diagram! My net connection has been down but I'm going to get out the soldering iron this weekend I'll let you know how it turns out. Thanks again! New to the forum, just have a question for you wiring gurus out there! I bought a WI45 Idol a few months back that I've been really impressed with, especially for the price. I actually like the VCC system, but I do miss having a tone control. 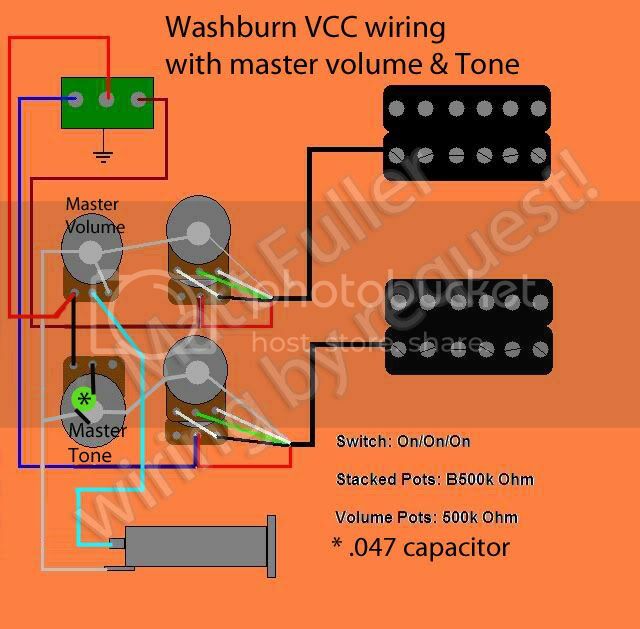 I was wondering if there would be any way to wire a master volume, master tone, and leave both VCC controls intact? Just wondering if any one else has tried this, any help would be much appreciated. Thanks!